These days, many people check out the place on the Internet before going to a food place or thinking about calling an order. They judge the design of the website the same way as they judge the atmosphere of the place itself. So, having a modern, responsive website that embodies your desire for perfection is a must. No matter, if you are only hitting the road in launching a website or you need a powerful boost of its effectiveness, getting a mouth-watering, polished theme is a great decision for you. At this time a website creation is not so difficult job. Anyone can create an eCommerce website by spending a small amount of money. No need to hire a web development company & a particular developer to manage your website which will cost you too much. 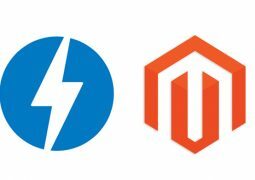 The best solution for creating eCommerce online store is OpenCart. 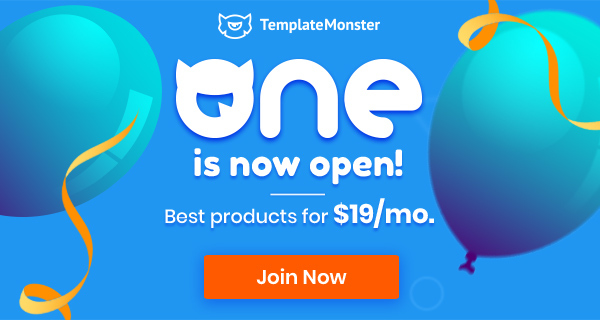 Here’s a detailed list of 10 beautiful responsive OpenCart themes for your Food and Drink stores. Modern is a responsive, user friendly, modern and clean, professional, multi-purpose OpenCart theme that will help you bring your business online fast and easy. 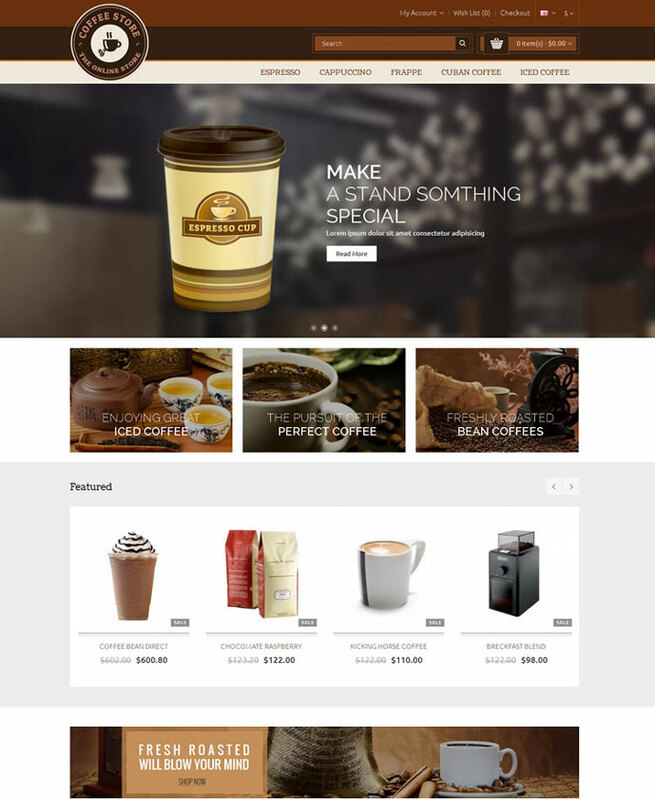 Highly customizable, you can use it to build a decent eCommerce site for selling coffee, bakery, food, gusto, drinks, gifts, books, digital data, tech gear, and any other stuff. The visual performance is emphasized, with gaining visitors’ attention being a must. Several bright banners accompanies the catchy full width slider at the top of the page, brilliantly display the products on offer. Modern OpenCart theme layouts are looking good with its colors combination and included 33+ different layouts. The theme is built in yellow, green, and blue, which are known as strong appetizers. But, you are free to experiment with the colors to pick out your wanted palette. Cross browser compatible, this Modern OpenCart theme is equipped with powerful commenting system, easy to use contact form, handy online chat, and plenty of other features all thoroughly handpicked for the user convenience. Pav Fresh OpenCart theme comes loaded with an array of handy features to enhance your website performance such as Pav Framework and outstanding OpenCart Drag and Drop Page Builder. You’re more than welcome to personalize your website with the advanced theme options, multiple fonts and colors to choose from. We recommend using it for building a sweets shop website, by the way, it will also fit food and drink, and restaurant eCommerce website. The items are easier to find thanks to the Advanced search placed in line with main menu. 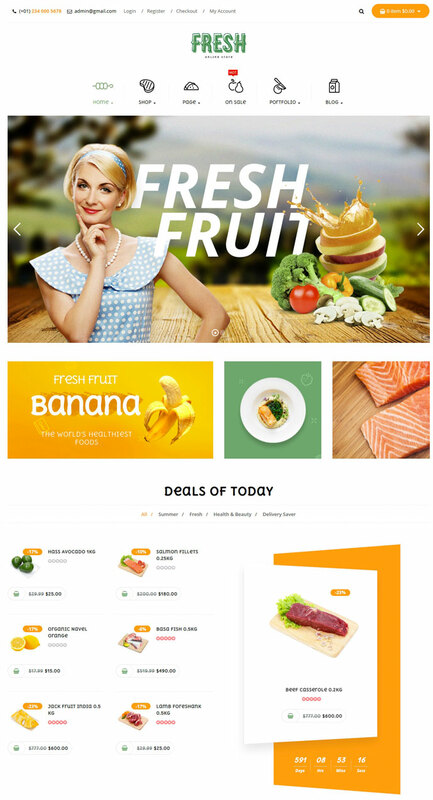 Pav Fresh Opencart theme comes with 50+ widgets to help you build content with ease ‘Best Selling’ and ‘Popular’ products are separated with catchy full width background images. Fresh is fully responsive at core, every single element is designed to have outstanding look and feel in Desktop, Tablet and Mobile devices. The website is kept balanced with the grid based organization of the content. Social media integration will help you engage more buyers in. 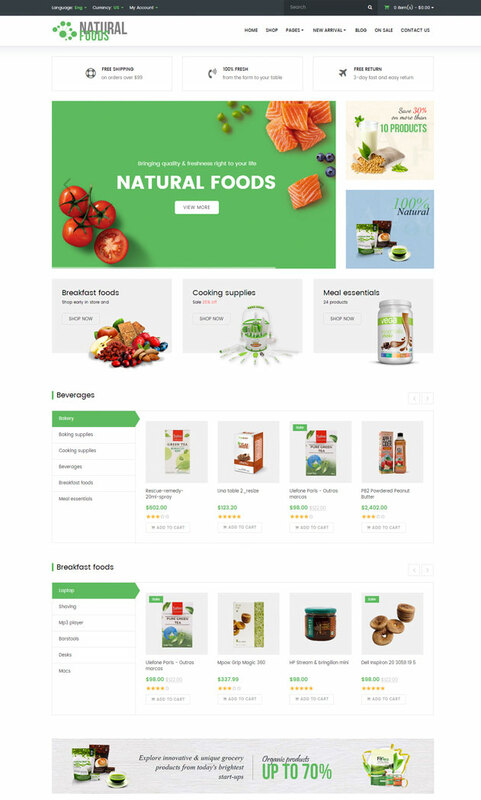 Being fully responsive and cross-browser compatible, Natural Food OpenCart theme look greats across various devices and web browsers. A lot of great tools and extra features will make sure that you will sell online effectively. 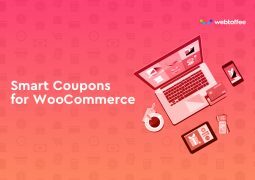 Valid, semantic code, OpenCart modules, Bootstrap functionality, social options, custom page themes, commenting system, advanced search are among many other options that will greatly improve your online store. The theme is highly customizable. It’s great for selling products of any kind, including Food and drink, organic food, grocery store, supermarket and much more. If you want a website that will look great and work perfectly on any smartphone and tablet, consider buying Coffees. This is a fully responsive wine shop OpenCart theme designed with elegance and functionality in mind. With a few clicks, your visitors can comfortably access to all of your store’s quarters thanks to the easy-to-follow navigation, drop-down menu, advanced search, and well-balanced content positioning. Each item is supplied with the brief description, pricing details, star rating, and a couple of calls-to-action. 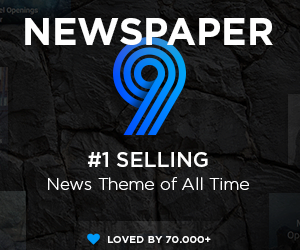 Additionally, the newsletter subscription form will keep them always updated on new arrivals, whereas the social options will help users share their preferences with friends and followers. 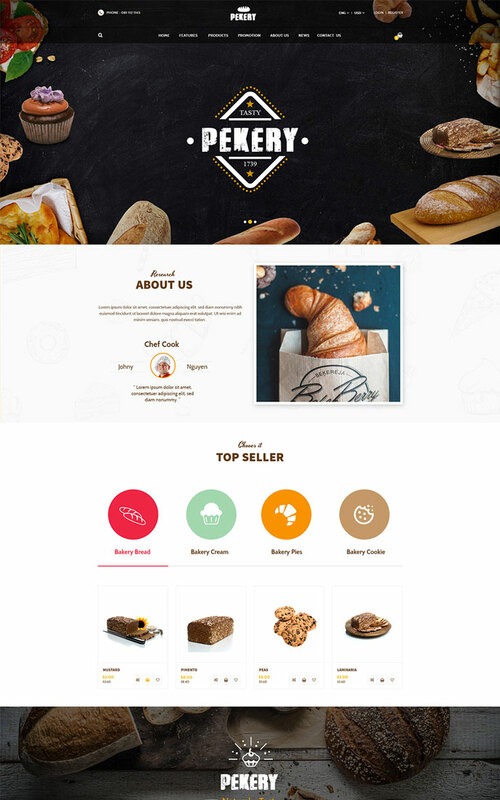 If you’re having problem finding a suitable theme for your online store that can be adjusted to fit any business, preferably food and drink online stores, have a look at this Fobe OpenCart theme. 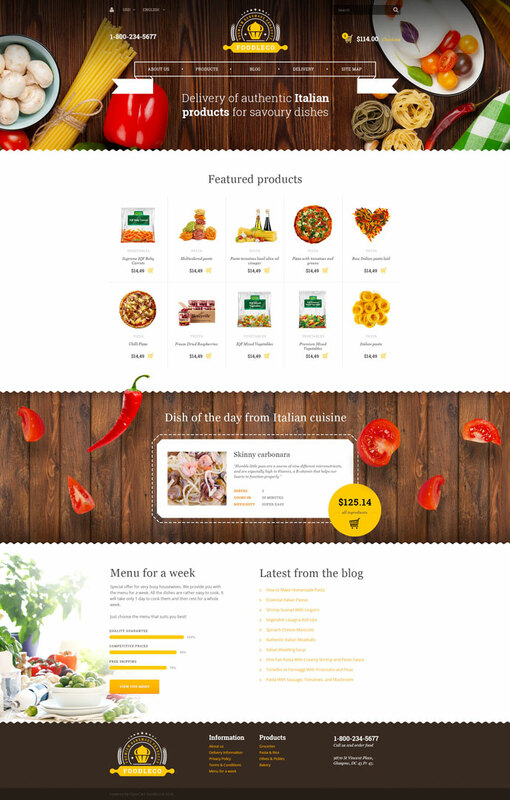 The theme makes use of tile-based content structure to focus the view on the products. On the right sidebar, you can find the Product categories. All icons and calls-to-action are bold and appealing. Badges, star ratings, product descriptions and retina-ready photography help to make the right shopping decision. 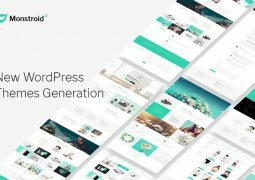 By downloading the theme you’ll get access to sliced PSD, a number of OpenCart modules, several web forms, detailed documentation, and more. As you can see, the theme’s flexibility and dynamism can be noticed through a layout that can smoothly adapt to any screen size. 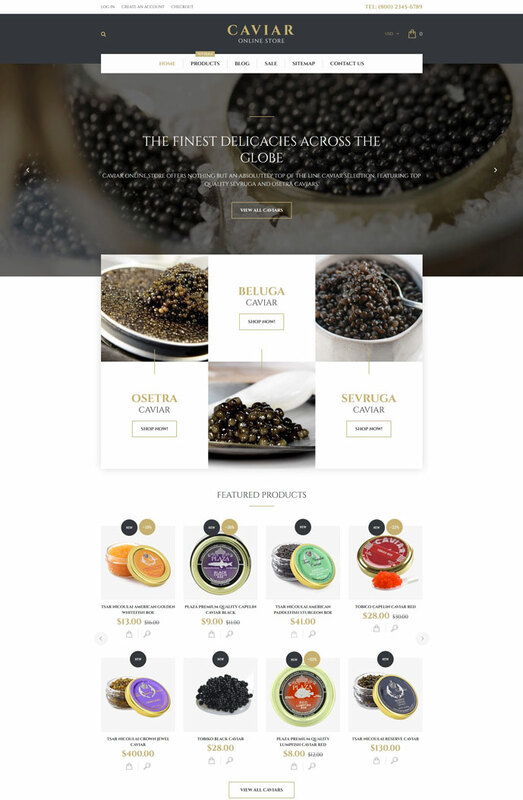 Here is a yummy, professional and expensive-looking OpenCart theme for your caviar store. In the background, the ornamental elements, together with a circular pattern, add a classic, luxury look to your website. The framed slider images come with captions, prices and descriptions provide greater information value. To reduce the clutter on the page, the Call-to-action buttons and ratings are added, hovering the featured products . The Pastel colors make interface elements look charming and seamlessly blend with the overall design of this Caviar Store OpenCart theme. A newsletter subscription form and social media block can be found at the bottom of the page, motivating the customers to join the community around your store. Foodleco ca help you perfectly solving the problem of designing professional food stores of all kinds. It bears an attractive look and fresh style on which the main features of your business are emphasized. 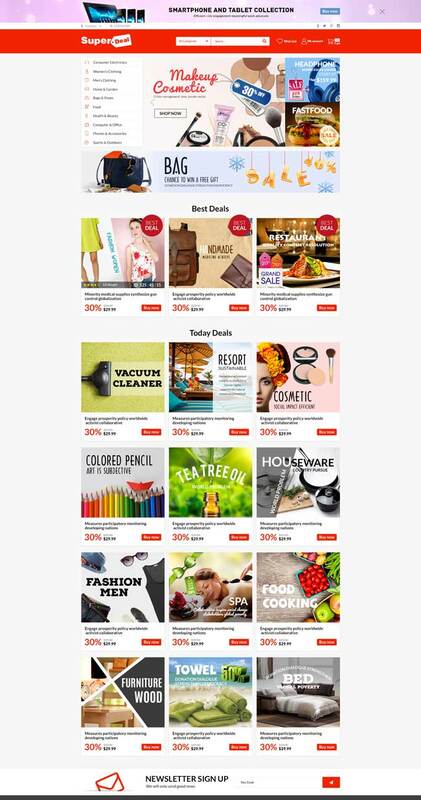 The theme is a great way to combine an advanced eCommerce site with a regular blog. You can freely advertise the available products of your store as well as some recipes, recommendations or reviews from the chefs, etc. The customizability of this theme also allows you to adapt it the any other type of store with ease. 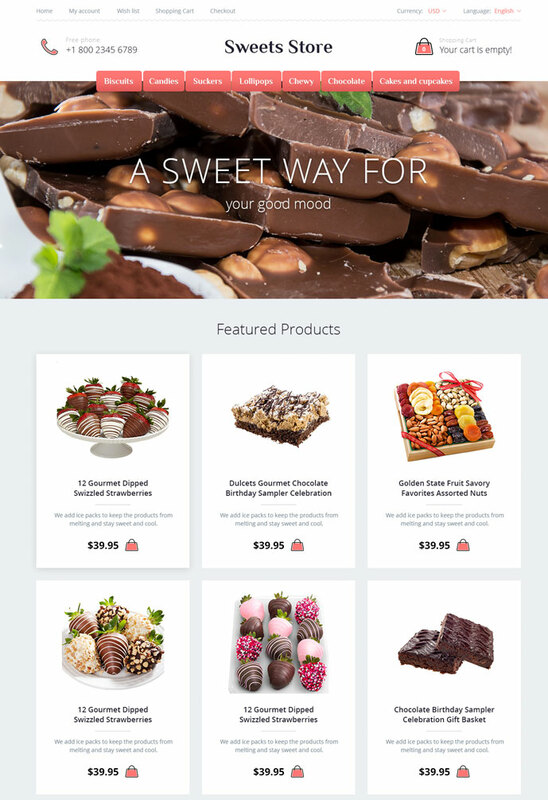 Sweets Store was built for online candy and cake shops . 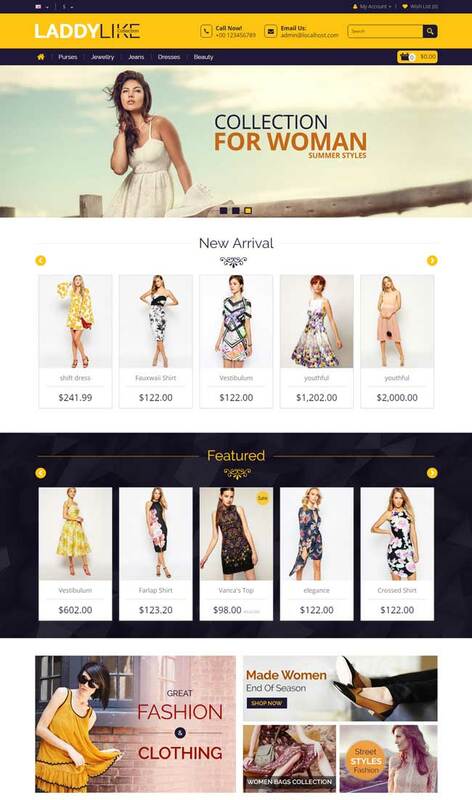 The theme features pleasant feminine colors and huge set of features required for any online store. 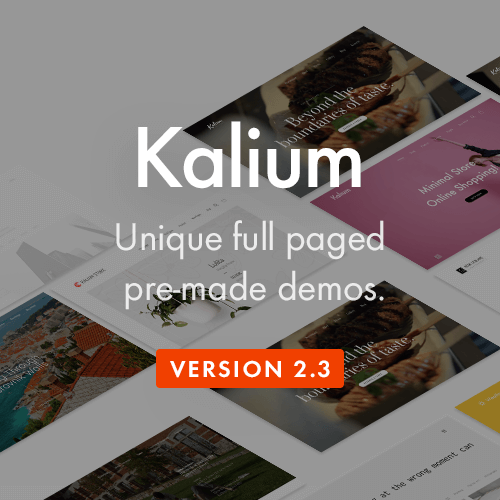 The notable ones are product quick view feature, newsletter subscription popup, product zoom and product image pop-up, all of them were added to boost your products’ appearance. It also supports multi-currency and multi-language so you can target a wider range of potential customers. Besides that the theme is SEO friendly, it wont be an issue to promote your website on the net. 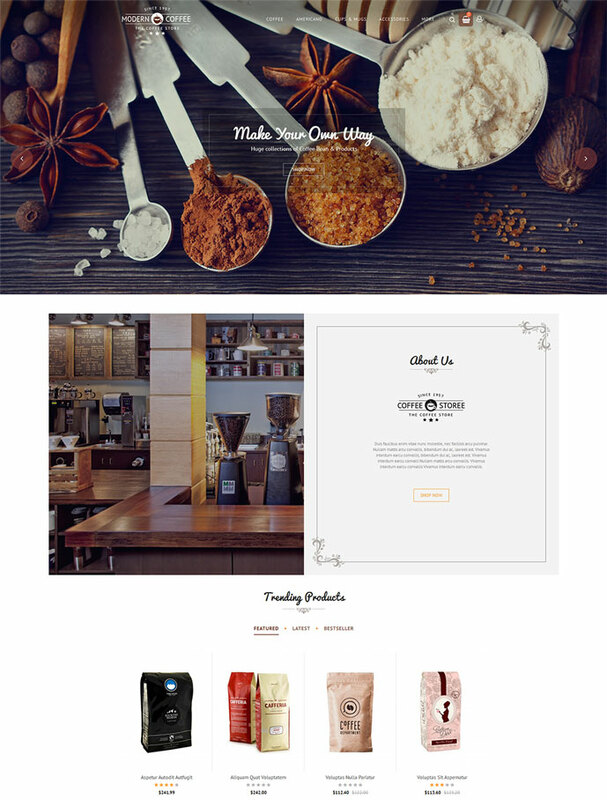 Designed with clean and valid HTML/CSS codes is another thing that will make this theme a great choice for your store. 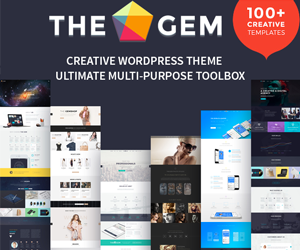 LaddyLike is an utility tool of a website theme that was built for Fashion Store, Jewellery Store, Watch Store, Mobile Store, Electronics Store, Shoe Store, Furniture Store, Kitchen Store, Medical Store, Tools Store, Designer Clothes Store, Food Store, Beauty Store, Pet Store, Multipurpose Stores,etc… It provides the users with every necessary features to build a great eCommerce site like Quick View,Product Zoom, Newsletter Popup,Mega Menu,Products Slider,etc… Otherwise, the fully responsiveness it has will adapt with any type of device and screen. Experiencing a premium responsive OpenCart theme Super Deal, with it you can build an online multi-store market with adaptability to many screen devices. The combination of clean and well-arranged layout, full-width revolution slider, blocks of feature product, blog, gallery and category make up its awesome appearance. Additionally, the new module boss themes manager is integrated in Super Deal to facilitate the setting and management for the users. With the advanced features like a Megamenu, Revolution Slider Module, Popup Ajax Add to Cart Module… being included, you know that you can’t go wrong with choosing this great OpenCart theme.